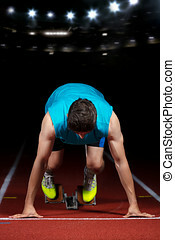 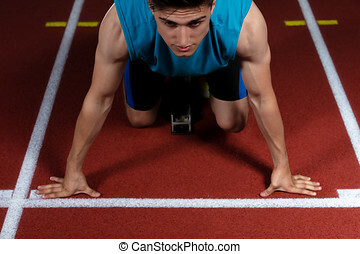 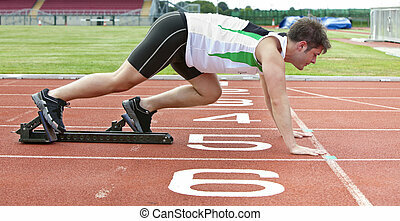 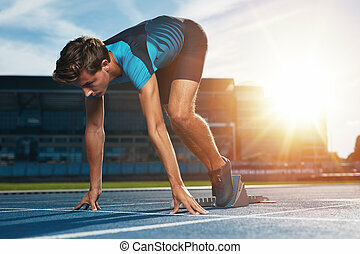 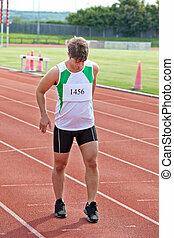 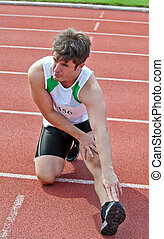 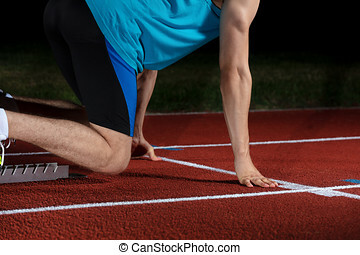 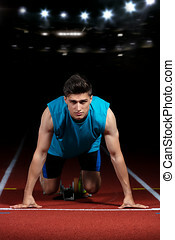 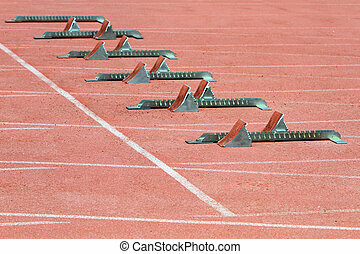 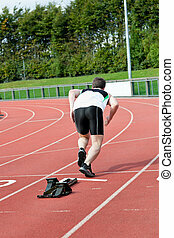 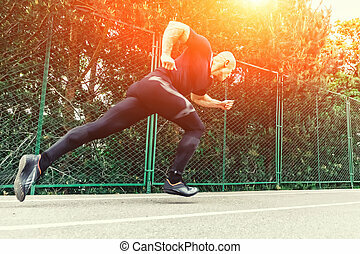 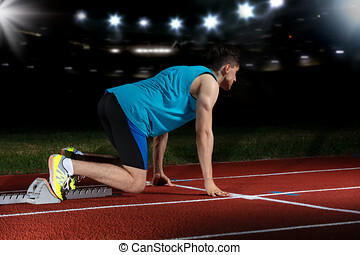 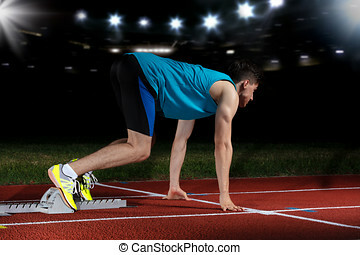 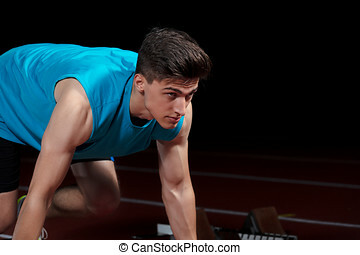 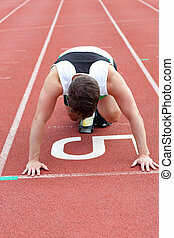 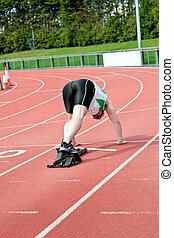 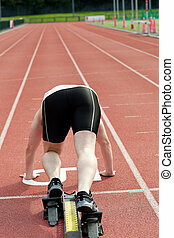 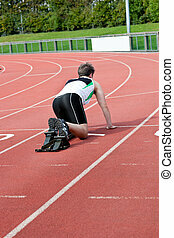 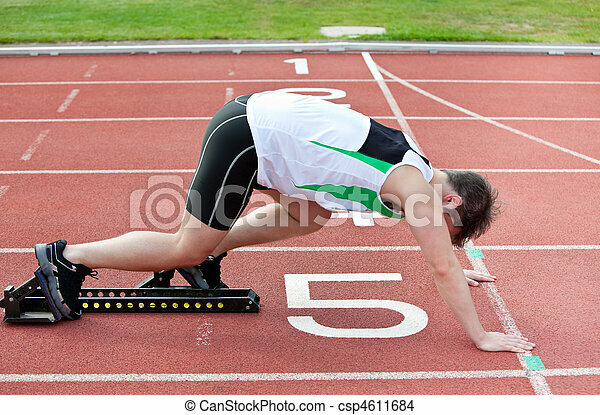 Athletic man on the starting line putting his foot in the starting block in a stadium. 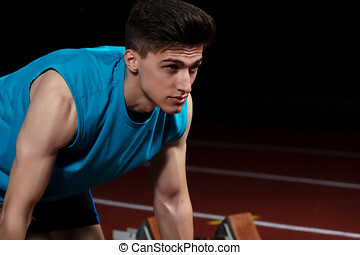 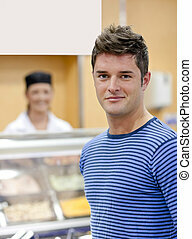 Young male runner taking ready to start position against bright sunlight. 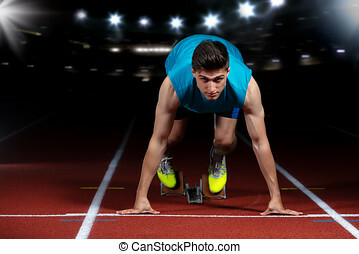 Sprinter on starting block of a racetrack in athletics stadium. 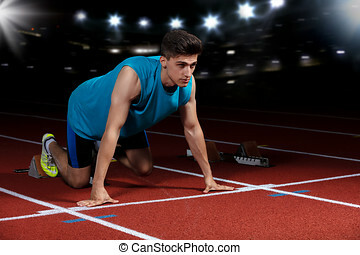 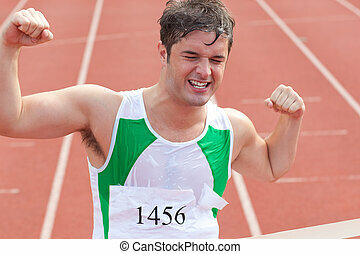 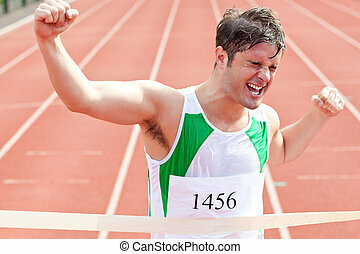 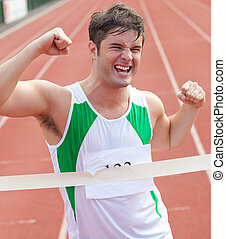 Shot of young male athlete launching off the start line in a race. 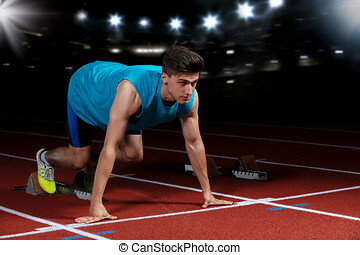 Runner running on racetrack in athletics stadium.